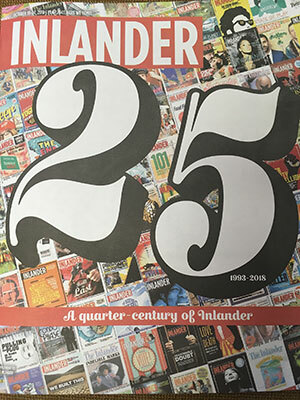 Happy 25th Anniversary to the Inlander! The Spokane region is about the best it ever has been! And a big part of that success is due to The Pacific Northwest Inlander, celebrating 25 years of telling the story of our amazing home. Thank you for being one of the best things our community has to offer! Here's to many more years of great success! Steve Dobbs is a talented graphic designer who launched his design education at Perry Technical Institute and established his experience in print design at a commercial printing facility, and as a graphic designer and website production artist at an agency in Kennewick, WA. Steve works with Klundt Hosmer's creative team on concepts, design, and production for print and online marketing. He is a Spokane Advertising Federation board member. 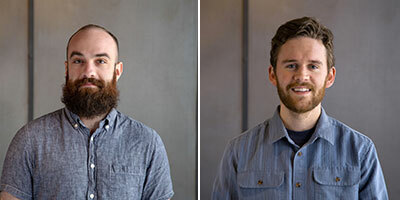 Hudson Rennaker received his degree in Graphic Design from Oregon State University after being accepted into the University's Graphic Design Pro School. During his time at OSU, he handled external marketing for the OSU Transportation Services Department and worked with Corvallis non-profits and city officials to brand local events. As part of Klundt Hosmer's creative team, Hudson develops design concepts and production for print and online projects. Klundt Hosmer is a creative marketing firm serving clients for over 30 years. The firm's focus is combining creative design and digital strategy to help clients achieve branding and marketing goals. Check out the website of this amazing company at klundthosmer.com. 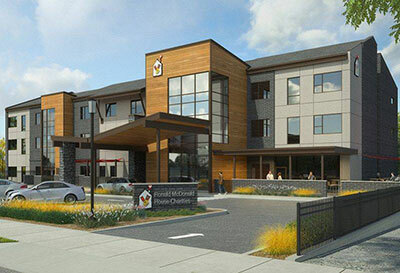 A second location for the Ronald McDonald House is going to be built, across the street from the first one, at 1015 West Fifth. The 17.5 million dollar, 35,000-square-foot facility will have the capability to house up to 34 additional families. Bouten Construction is the general contractor for the project which is slated to open in early January, 2020. 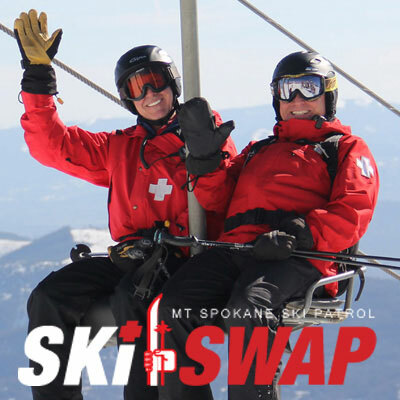 The annual Mount Spokane Ski Patrol Ski Swap is the region's largest winter sports equipment and clothing sales event, featuring thousands of new and used winter sports items sold by both individuals and area sporting goods stores. Equipment, clothing, and accessories for all winter sports are available, including nordic & alpine skiing, and snowboarding. It's this Saturday 9am-5pm and Sunday 9am-noon. Thousands of items are offered for sale to the public. Ski patrollers, shop employees, and volunteers will be on hand to help you determine what gear is best suited for your skill level and ability. Get more information at skipatrolskiswap.com. 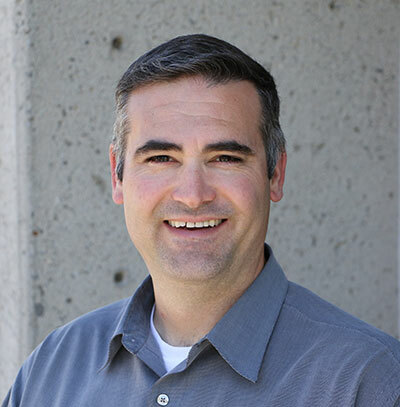 Inland Northwest Land Conservancy, a Spokane nonprofit conservation organization, recently hired Todd Dunfield as Community Conservation Manager. He was executive director of the North Idaho Centennial Trail Foundation and previously worked for the Spokane Nordic Ski Association and for Gonzaga University. He is active with the Washington Trails Association and is a 2011 Leadership Spokane graduate. Also, Casey Brazil was recently appointed to serve on the board. Brazil is a Managing Broker and Director of Brokerage for Kiemle Hagood. Darren M. Digiacinto, Benjamin H. Rascoff and Gabrielle C. Roth Darren M. Digiacinto, Benjamin H. Rascoff and Gabrielle C. Roth have been named principals at Winston & Cashatt, Lawyers. Darren M. Digiacinto joined Winston & Cashatt, Lawyers in early 2017, bringing to the firm a strong background in multiple areas of civil litigation. A 2007 graduate of Seattle University Law School, Darren served as a judicial clerk at the Washington State Division II Court of Appeals for the Honorable Judge Marywave Van Deren and the late Honorable Judge C.C. Bridgewater. Benjamin H. Rascoff joined Winston & Cashatt in 2015 and focuses his practice on all aspects of litigation, including employment matters, personal injury, class action, and commercial cases. Ben graduated from Seattle University School of Law in 2012 and is licensed to practice in Washington and Idaho state and Federal courts. Gabrielle C. Roth joined Winston & Cashatt, Lawyers in 2016, and has over 15 years' experience in the areas of family law and guardianship, practicing all areas of dissolutions, post-decree actions, mediation, and high conflict litigation. A 2001 graduate of Gonzaga Law School, Gabrielle has previously served as a Pro Tem Commissioner for Spokane County Superior Court for over 5 years, as well as an Adjunct Professor and Mock Trial Coach for Eastern Washington University for 9 years. Churchill's Steakhouse, at 165 S. Post, will be having one of their famous Mis-Steak nights this Sunday, October 28, from 1-9pm. They will be serving slightly smaller cut USDA Prime New York Strip Steaks with Garlic Mashed Potatoes and Sugar Snap Peas for the price of $21. 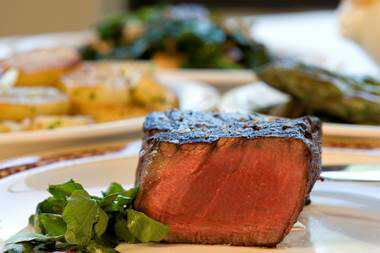 Reservations can be made at churchillssteakhouse.com or by calling 509-474-9888. "The secret of success is to be ready for the opportunity when it comes."